Dublin Zoo has announced that Wild Lights is returning this winter. The spectacular night-time event will open from November 1st until January 6th. The theme of this year's experience is 'Ocean of Light', with an entirely new cast of illuminated giant silk lanterns celebrating the wonders of the life aquatic. 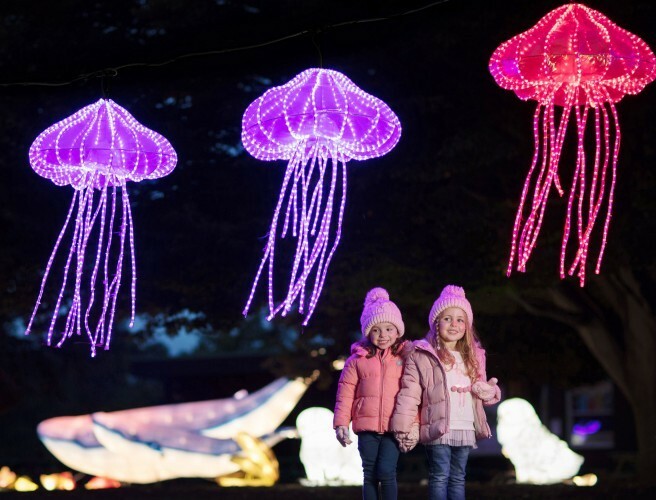 From giant squid to hammerhead sharks, colossal blue whales and dainty seahorses, Dublin Zoo, will be transformed into a sea of illumination with lanterns tailor-made especially for Wild Lights 2018. In addition to Ocean of Light, a further three new areas will feature in this year’s enchanting experience - Winter Wonderland, home to Arctic favourites such as polar bears and walruses, Celebrating China bringing a flavour of the Orient and The North Pole, home to a dazzling 16-metre high silk Christmas tree and a host of festive displays. What’s more, visitors will once again have the chance to be wowed by traditional Chinese performers, browse the newly extended craft market for Christmas gifts and enjoy a delicious array of Asian foods. Tickets for Dublin Zoo Annual Pass holders are available now. While, tickets for the general public go on sale this Friday, September 14th at 9.30am via Dublin Zoo's website. 98FM is the official radio partner of Wild Lights at Dublin Zoo. Stay tuned to find out how you can win tickets! You can find out more information about Wild Lights including ticket prices and opening times here.